Installed with a 70 tonne mobile crane, the first-ever Raimondi crane has been positioned in Albania. The Raimondi MRT152 tower crane, with a height under hook (H.U.H.) of 57 meters was erected at the new Tirana National Arena, known as the Arena Kombetare. “It is fantastic for Raimondi to develop new markets. Knowing that the very first Raimondi crane erected in Albania is positioned on one of the country’s most significant projects is a personal moment of pride, and for the entire company,” said Eng. Domenico Ciano, Technical Director, Raimondi Cranes. First announced in April 2016, the widely-reported project is an estimated €50 million undertaking. Located in Tirana’s historic area, the National Arena spans 36,000 sq. m. and it will replace the country’s Qemal Stafa stadium. 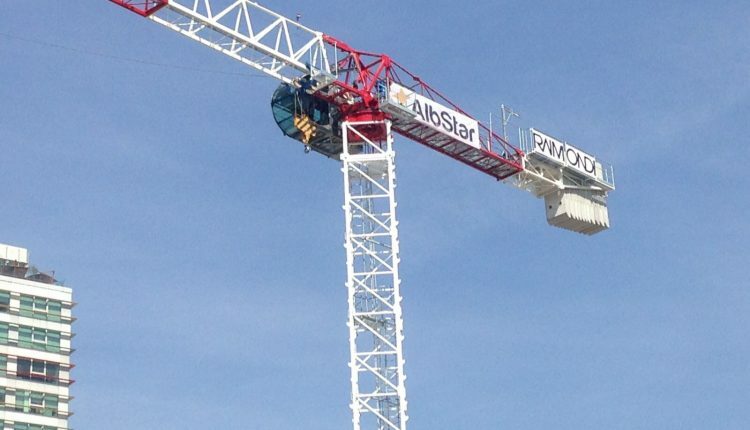 The project itself, under construction company AlbStar, is a public private partnership (PPP) with construction expected to continue for three years. The new arena is expected to welcome 22,000 eventgoers, and is designed by famed Italian architect Marco Casamonti.